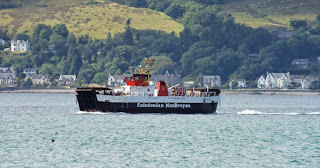 Coaster Fame outbound for Loch Striven 08 July 2014. 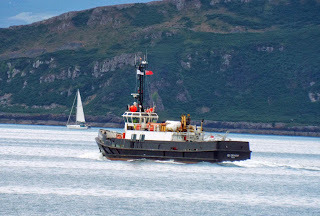 Serco's personnel carrier SD Oronsay outbound 08 July 2014. 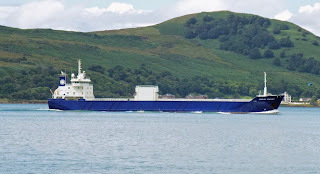 Bulk carrier Emma Schulte unloading at Hunterston 08 July 2014. 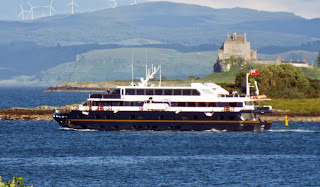 Coaster Lysblink Seaways inbound for Greenock 08 July 2014. Isle of Mull starts up at Craignure 05 July 2014. Isle of Mull lies overnight (in the rain :-() at Craignure to take the 08:45 crossing 06 July 2014. 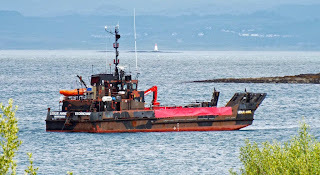 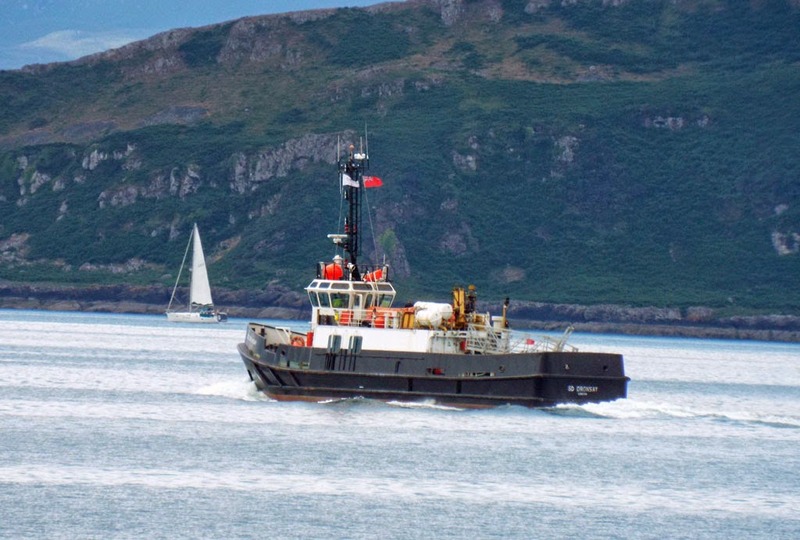 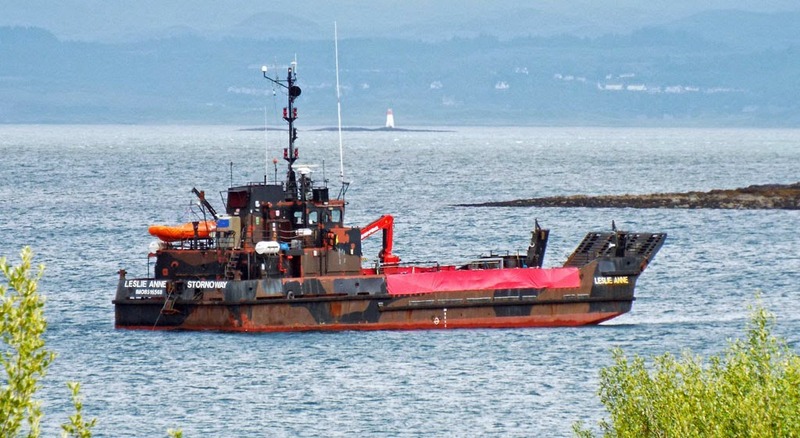 Ferguson Shipping's workboat Leslie Anne (ex RLC Audemer L113) in Craignure Bay 04 July 2014. 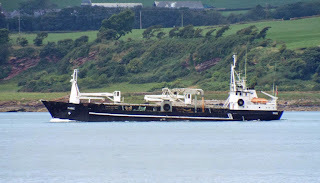 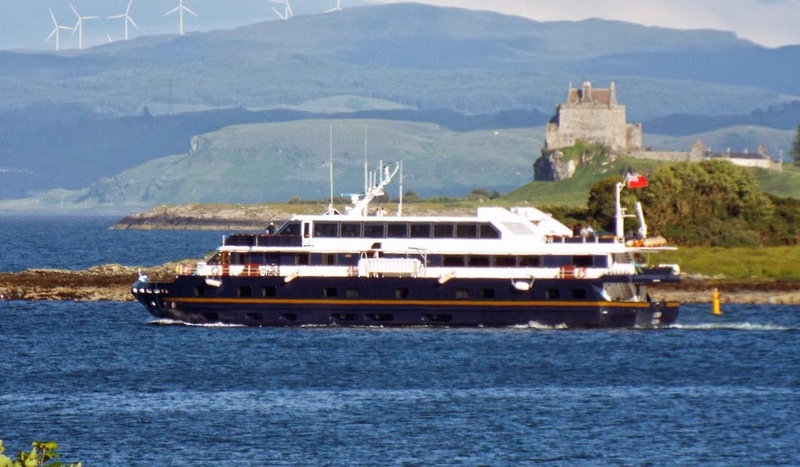 Lord of the Glens leaves Craignure after an overnight stay 04 July 2014. 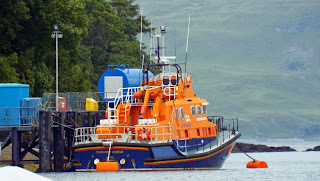 Tobermory lifeboat Elizabeth Fairlie Ramsay (17-39) on station 04 July 2014. Lord of the Isles loads cars at Craignure for the 07:45 Oban service 05 July 2014. 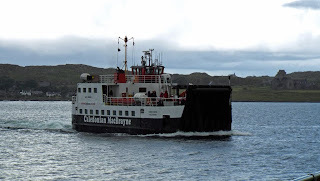 Iona ferry Loch Buie approaches a dreich Fionnphort 05 July 2014. 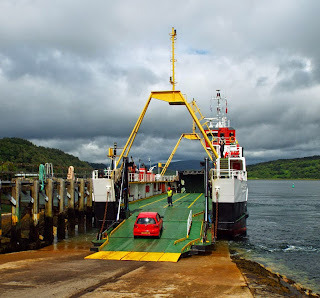 Caledonian Macbrayne's Loch Fyne loads cars on service at Lochaline 05 July 2014. 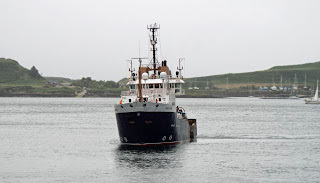 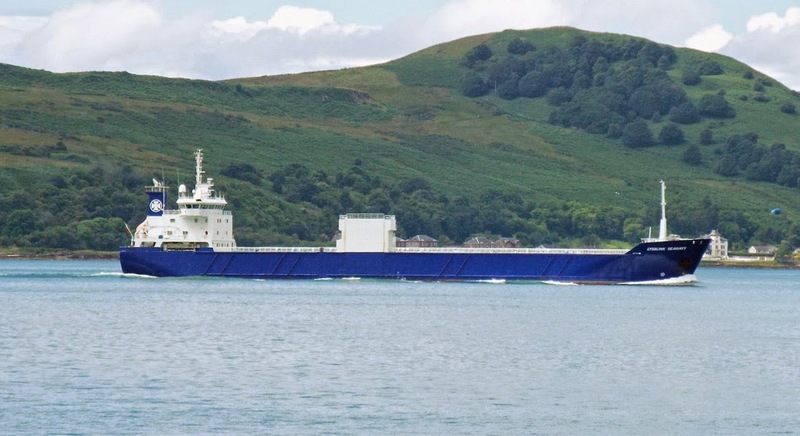 NLB Pharos in the Sound of Mull 03 July 2014. 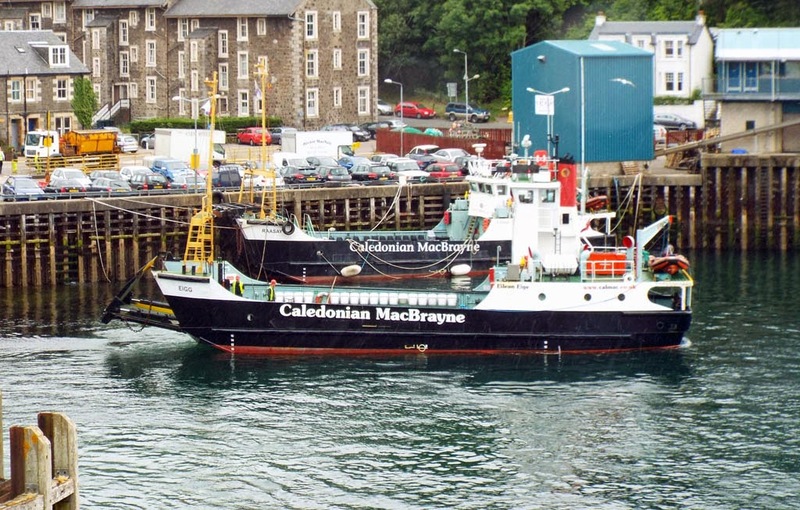 "New" Lismore ferry Loch Striven awaits suitable tidal conditions to return to service 03 July 2014. Lismore "spare" vessel Eigg berths alongside Raasay following service 03 July 2014. It would appear that tidal conditions preclude Loch Striven from providing all services between Oban and Lismore. 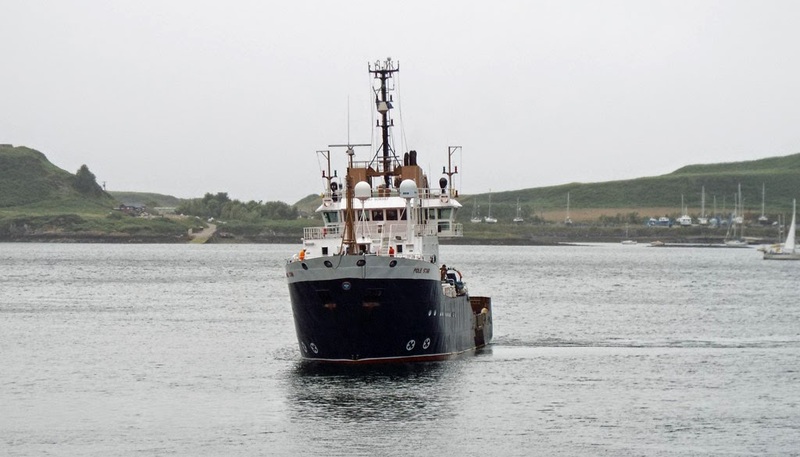 NLB Pole Star returns to the berth following Pharos' departure 03 July 2014. 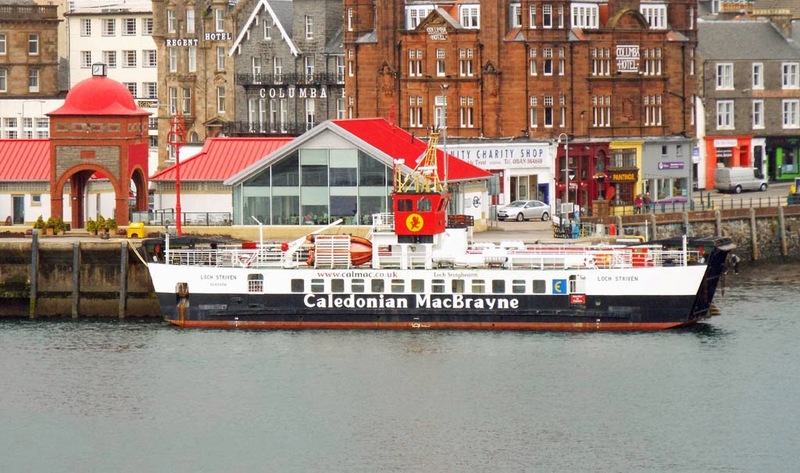 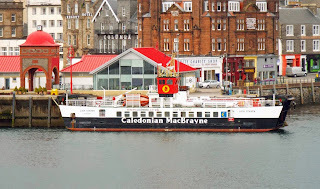 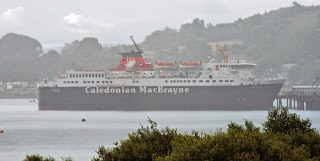 Caledonian Macbrayne's Clansman inbound for Oban 05 July 2014. 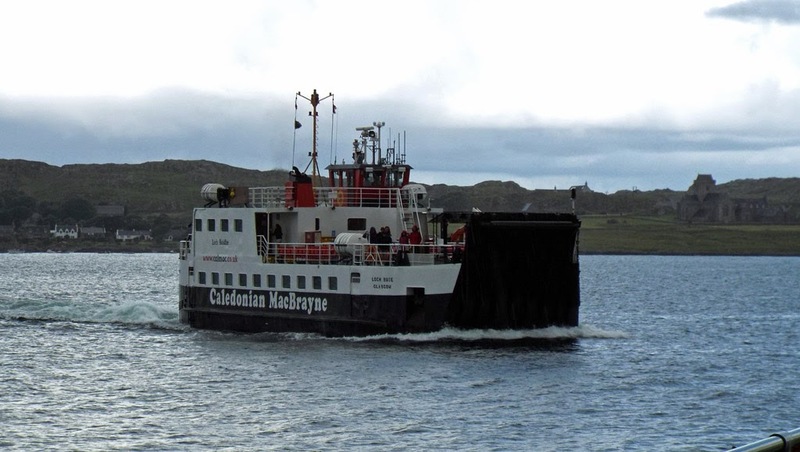 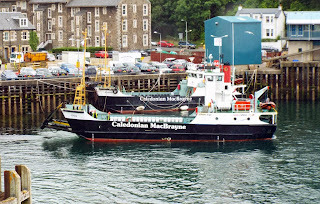 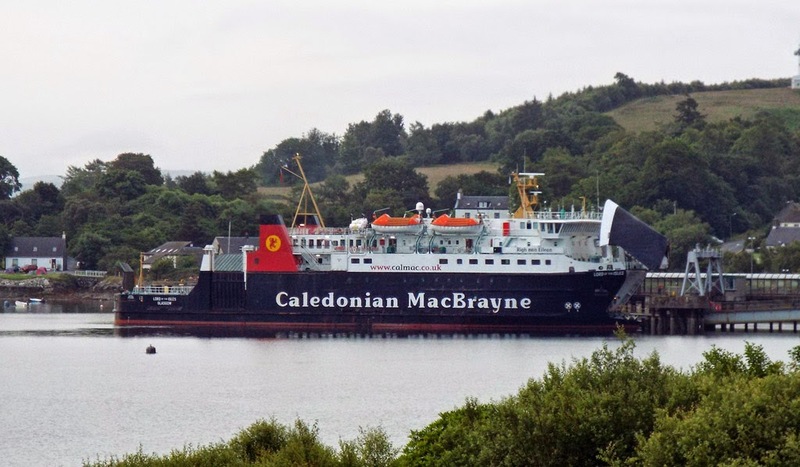 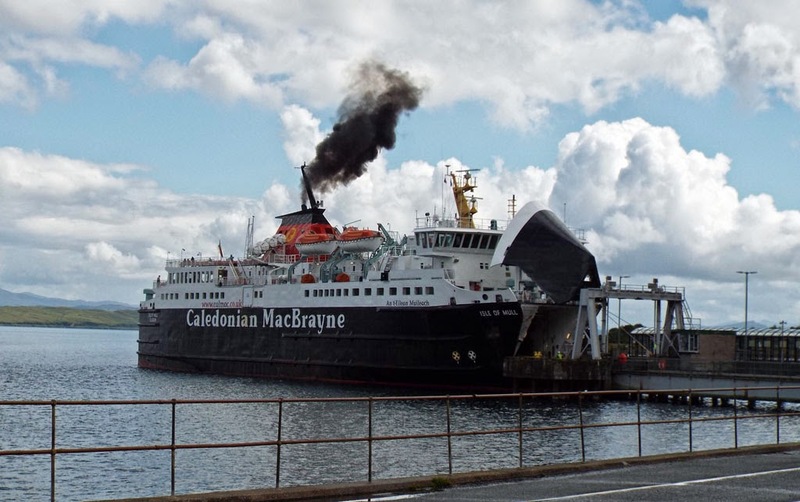 Caledonian Macbrayne's Loch Tarbert returning to Lochranza from JWD 06 July 2014. 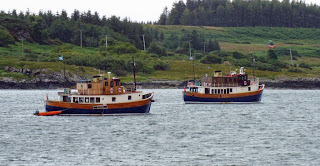 Majestic Lines' Glen Massan and Glen Tarsan off Duart Castle 06 July 2014. 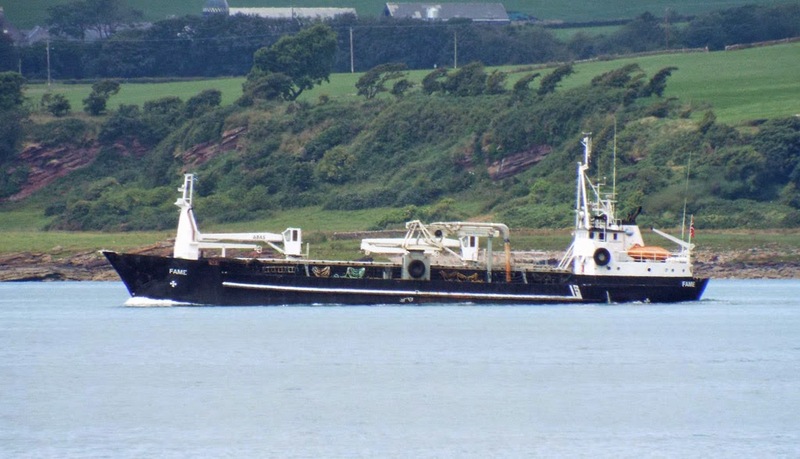 Certainly the first time that I have seen them together away from Sandbank!